Kinetic Fit is a complete system that integrates the best coaching and training plans and training features with video, music and the home entertainment system and smart devices you already own. Wireless second-screen viewing with Apple TV and Google Chromecast allow you to create the perfect connected training environment. Training smarter, not harder isn’t always easy to do. We often go too hard on easy days and too easy on hard days. We help you take the guess work out of that with 200+ guided workouts all included in a Kinetic Fit app Smart subscription. 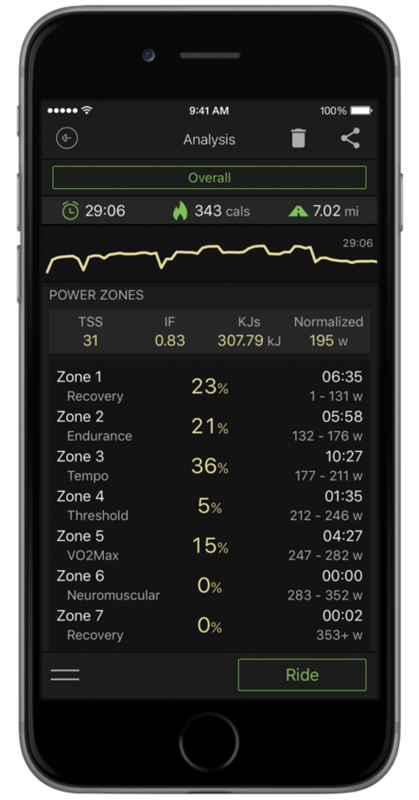 Customized power and cadence targets based off your personal fitness level keep you working hard without overtraining. Start by taking a fitness test and your results will automatically update your profile Functional Threshold Power (FTP). 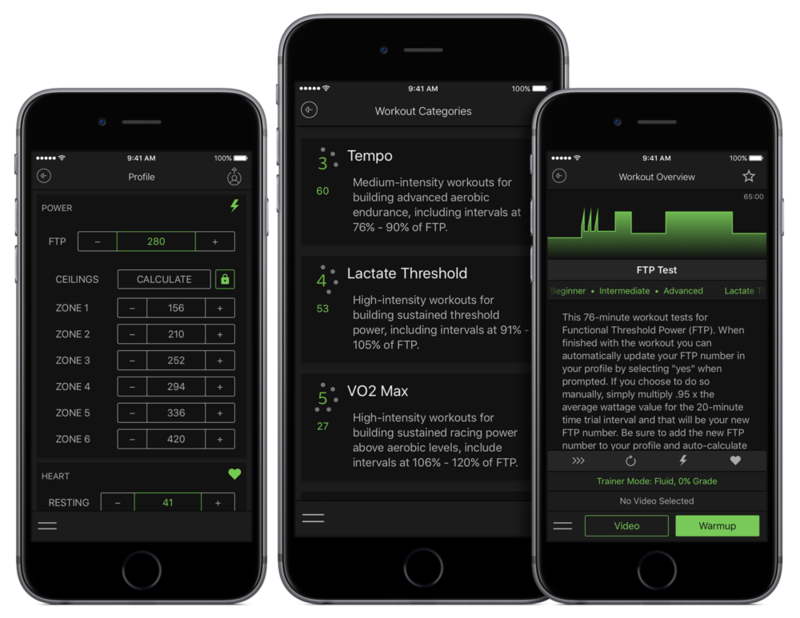 Customize your workouts with your Functional Threshold Power (FTP) number. We'll help you figure it out with a test. Choose the plan that makes the most sense for your training goals. Designed to fit the needs of modern athletes, whether you are new or experience, time-crunched or training like a pro, we have a plan to keep you motivated and progressing. A Smart-level subscription includes 24 training plans and over 200 personalized workouts. Kinetic Fit offers a huge selection of post-ride analysis features and it’s all saved in your career history to compare day-to-day and season-to-season. View it there or export it to another app for analysis. Kinetic Fit tracks over 50 data points with easy-to-read graphing. 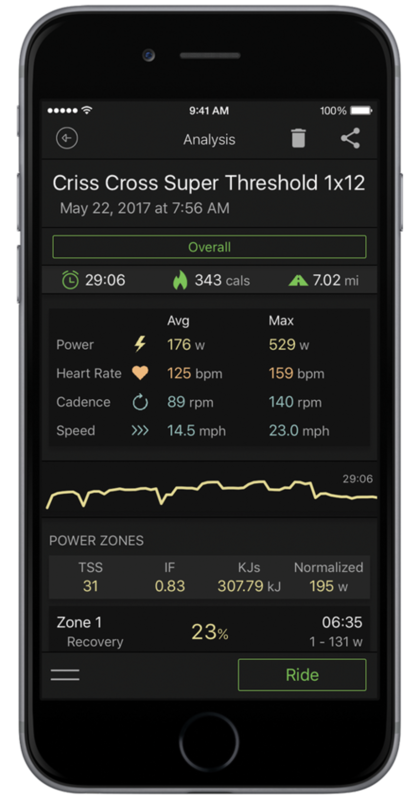 Workout files can be shared in a click to social media or automatically uploaded for analysis and sharing on pre-configured user accounts like Strava or Training Peaks. Have you ever done calisthenics to break up a trainer ride? You should try it. Nothing breaks up a workout and gets your heart rate up like cross training. In addition to more traditional cycling training plans, we offer general fitness workouts and training plans that incorporate off-bike intervals with exercises like the plank, pushups or Russian twists.